In Tacoma, a misdemeanor conviction will likely incur serious punishments that include jail time and monetary fines. Your personal life, your employment, and your future could also be adversely affected, so it makes sense to protect yourself with help from a professional. A Tacoma misdemeanor conviction could be especially harmful to young people just getting started in life. One youthful indiscretion resulting in a misdemeanor conviction could affect their ability to find a job, or even rent an apartment. Our Tacoma misdemeanor lawyers treat cases involving minors with the utmost seriousness, acting as your personal advocate with the court and prosecutor in an effort to minimize the lasting damage of a conviction. As a first priority, our Tacoma misdemeanor attorneys will fully define the penalties you're facing, if convicted of the crime. Typical penalties for misdemeanor offenses include jail time, fines, and probation. In cases involving DUI, you may also face a mandatory driver's license suspension. Our Tacoma misdemeanor lawyers will do whatever the law allows to have your penalties mitigated, and in some cases it may be necessary to go to court. Driving Under the Influence (DUI) is a serious crime in Tacoma. A conviction could cause you all sorts of problems you for many years. Other less-common DUI-related crimes include reckless driving, marijuana DUI, minor DUI, and physical control violations. Our Tacoma misdemeanor criminal attorneys will seek to have your DUI charge dismissed if this course of action is possible. If not, seeking to have your penalties reduced is the next logical step. Domestic Violence crimes that are of lesser severity then a felony are classified as a gross misdemeanor. Legal representation from our qualified Tacoma misdemeanor criminal lawyers will ensure that your rights are protected by a legal professional with extensive experience. Drug Offenses classified as misdemeanors under Washington law usually involve the possession of small quantities of drugs, but the penalties for these crimes can be far more severe than most people realize, even a first offense. Shoplifting or Theft crimes can have life-altering consequences, if you are convicted. Our Tacoma misdemeanor lawyers will defend your rights by building a defense based on the facts. The goal is to minimize your penalties in whatever way the law allows. 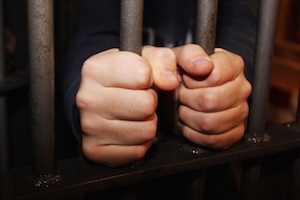 Contact one of our experienced Tacoma lawyers today for a free misdemeanor crime evaluation. Don't make the mistake of underestimating the severity of a misdemeanor. Get help constructing a defense that ensures your legal rights are protected.